Acapela Group and AssistiveWare(R) announced the release of Infovox iVox 3.1, which adds to the repertoire the first four genuine, natural-sounding children’s voices, now available on Mac OS X as well as three new male voices. Infovox iVox™ provides system-wide clear and pleasant voices to Mac OS X for blind and vision impaired users, for individuals who need audible feedback or reading support, for language learning or for people who prefer listening to their computer. 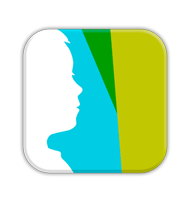 To support the needs of our younger users, Infovox iVox 3.1 now offers four genuine children’s text to speech voices: boy and girl voice for both American English and British English. The high-quality voices were recorded by and for children. Learn more about how these voices were made and how Text to Speech works here. In addition, the update offers three new male voices: two American voices, Will and the southern-sounding Micah voice as well as the Australian Tyler voice. Besides adding new voices, Infovox iVox 3.1 also fixes an issue with characters with diacritical marks. Words that contain accents will now be pronounced correctly in any foreign language. The voices work with any Mac application, including Apple’s VoiceOver, TextEdit, Preview, Safari, Adobe’s Acrobat Reader, AssistiveWare’s VisioVoice, Proloquo and GhostReader. More info about Infovox iVox 3.1 here.